Aptly named, the ‘Vertige’ is sourced from Yves’ oldest, highest and best parcel of vines in the prestigious commune of Vernon (think Vernay) at the north end of the appellation Aged for 18 months with lees stirring every month, the wine is a plush tapestry, rich and creamy but also finely woven with notes of iodine, slate and white pepper joining the more usual yellow fruit descriptions. Behind the cashmere softness a shaft of mineral acidity lends focus and definition. A white grape variety originating in the Northern Rhône and which in the last ten years has been increasingly planted in the Southern Rhône and the Languedoc. It is a poor-yielding grape that is notoriously fickle to grow, being susceptible to a whole gamut of pests and diseases. Crucially it must be picked at optimum ripeness - if harvested too early and under-ripe the resulting wine can be thin, dilute and unbalanced, while if picked too late then the wine will lack the grape's distinctive peach and honeysuckle aroma. It is most successfully grown in the tiny appellations of Château-Grillet and Condrieu where it thrives on the distinctive arzelle granite-rich soils. It is also grown in Côte Rôtie where it lends aromatic richness to the wines when blended with Syrah. Viognier has been on the charge in the Southern Rhône and the Languedoc throughout the 1990s and is now a key component of many white Côtes du Rhône. In Languedoc and Rousillon it is increasingly being bottled unblended and with notable success with richly fragrant wines redolent of overripe apricots and peaches and selling at a fraction of the price of their Northern Rhône cousins. Condrieu is to Viognier what the Côte de Nuits is to Pinot Noir. There are now plantings of Viognier worldwide, but this pernickety grape’s spiritual homeland is still in Condrieu – where the finest Viogniers in the world are still produced. The appellation was created in 1940, and today over 40 growers produce wine from just over 100 hectares of vineyards. In 1965 the appellation covered only eight hectares. Guigal accounts for 45 percent of the appellation’s production. The vineyards are adjacent to those of Côte-Rôtie, but not as steep. The best Condrieu wines are produced from soils that are on narrow, south-facing or south-east-facing terraces of granite – where the average vine age is around 50 years old. 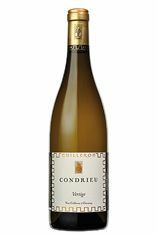 Condrieu is solely made from the Viognier grape. As well as being situated next to Côte-Rôtie it also encompasses the separate AC of Château-Grillet. 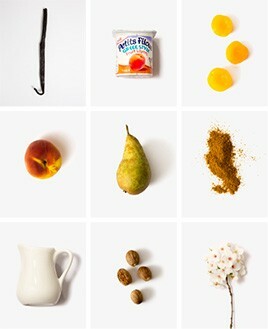 The wines are dry with a wonderful floral nose of peaches, apricots, violets and pears. They are quite alcoholic, with low-ish acidity. Condrieus are best enjoyed when young to ensure they maintain their freshness and delicate fruit flavours.